In June, Rodel released A Broader Vision of Student Success, a statewide landscape analysis of social emotional learning (SEL). The report was a collaborative research effort, combining the insights and perspectives of students, families, educators, and community members with support from leaders and funders from across the state. 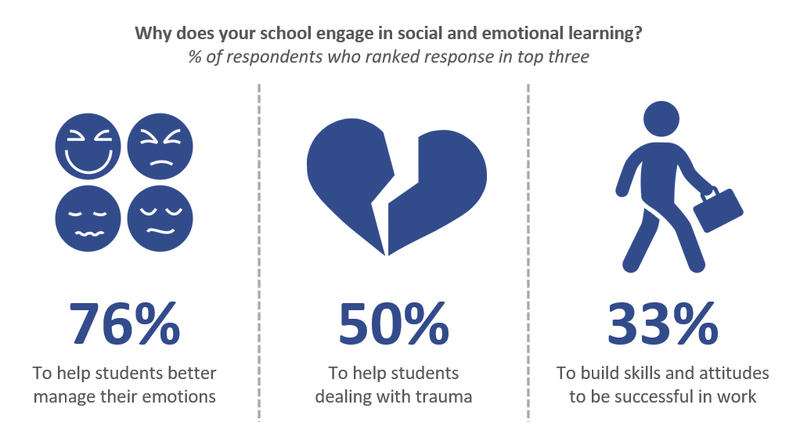 Let’s dig into a few of the key findings in the report to better understand Delaware’s social emotional learning landscape. Educators see the value in SEL. 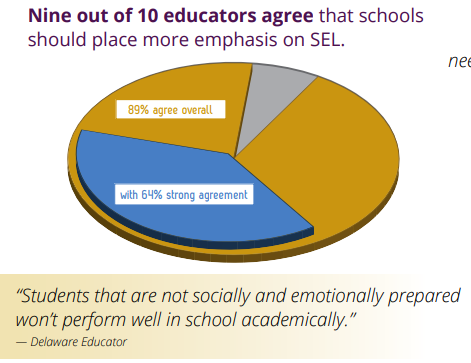 There is clear demand for SEL, according to our survey of school and district leaders. 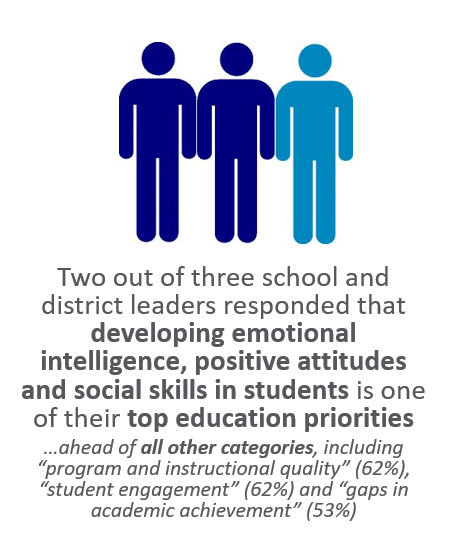 With two out of three school and district leaders noting SEL as one of their top education priorities, there’s no denying that SEL is here to stay. This finding aligns the Rodel Teacher Council’s 2017 survey, which found that nine out of ten Delaware teachers agree that schools should place more emphasis on SEL. 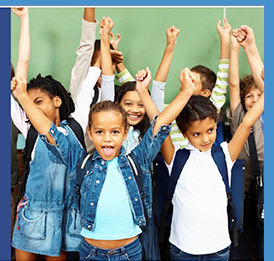 Read Educators Speak Up: Social and Emotional Learning in Delaware. And they understand that SEL impacts multiple aspects of student success. When asked why their schools implement SEL, school and district leaders indicated multiple, important benefits for students. While research has shown that SEL can positively impact academic outcomes, educators in Delaware clearly understand that there are other aspects at stake—including furthering equitable student outcomes and improving school climate—and that SEL is an effective way to support students’ holistic development. Despite this support, schools have sometimes struggled to meaningfully involve families in SEL planning and/or implementation. While fewer than one in three school and district leaders surveyed identified family engagement as a key driver of successful SEL implementation, research indicates that families are crucial partners. Family support and connection to the development and implementation of SEL programs and initiatives will be critical to ensuring success. Over half of the SEL partners interviewed as part of this research see a strong need for schools and districts to partner with families to reinforce SEL skills. To address this, educators need additional professional learning to address SEL implementation. While the majority of schools have provided some professional development or training to advance their SEL efforts, school and district leaders surveyed reported vast agreement that staff will need more training to adequately implement SEL. We’re looking forward to hearing your insights and working with you to make the recommendations in the landscape analysis come alive for Delaware students, families, educators, and communities. Digging Deeper: What’s the real value of work-based learning?